The firing trial was carried out on November 9, in an Italian test range. The Marte ER missile flew for more than 100 km on a planned trajectory that included several waypoints and sea-skimming flight, successfully testing all flying phases. 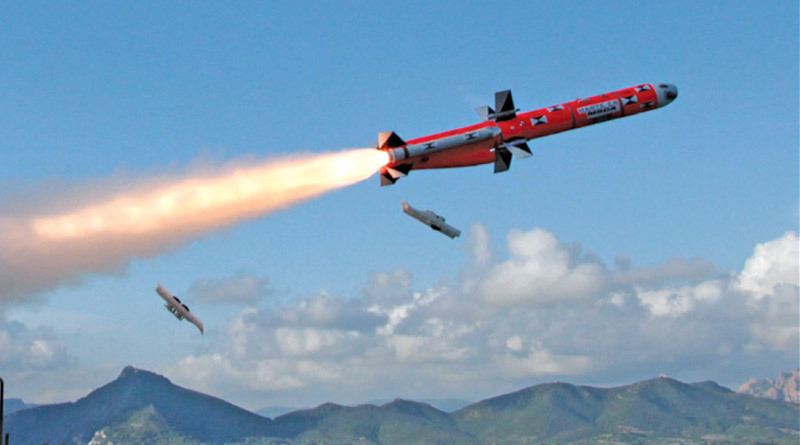 Executive group director sales & business development and managing director, MBDA Italia, Pasquale Di Bartolomeo commented, “This test is a further confirmation of the robustness of the ER version of the Marte family of multi-platform anti-ship missiles that can be launched by ships, helicopters, coastal batteries and fast jets. The Marte family has a strong and successful history both at domestic and international levels, most recently with Marte ER being ordered earlier in 2018 by the Qatar Emiri Air Force (QEAF) for their new NH90 helicopters. Marte is a single product family that can cover several missions, offering our customers a high level of operational flexibility in the area of maritime superiority, a domain where MBDA in Italy has been able throughout its long history not only to maintain but also to grow as well as further develop competencies and know-how”.